Preheat oven to 200°C. Using an electric mixer, beat butter and sugar for 4 minutes or until pale and fluffy. One by one, add 2 eggs and 1 egg yolk, beating well after each addition, until well combined. Combine milk and vanilla in a small jug. In another bowl, sift flour and baking powder with a pinch of salt. Using an electric mixer, add milk mixture alternating with flour mixture until a smooth, soft dough forms; don’t overwork the mixture. Turn dough out onto a lightly floured work surface. Using 1½ tbsp dough for each biscuit, shape into 40 x 20 cm logs. Fold each log in half, then twist together, pressing the ends together to seal. Place biscuits on a lined oven tray, spaced 2cm apart. Lightly whisk remaining egg yolk with 1 tsp water. Brush biscuits with the egg wash and bake for 12 minutes or until golden. The biscuits will keep in an airtight container for up to 10 days. These biscuits sound and look scrumptious! It´s great to learn about Easter specialties of other countries and cuisines! Today is Easter Saturday in Greece and this morning I made Easter biscuits using the recipe. They taste and look very authentic. Not many left as I have distributed them to friends and neighbours. 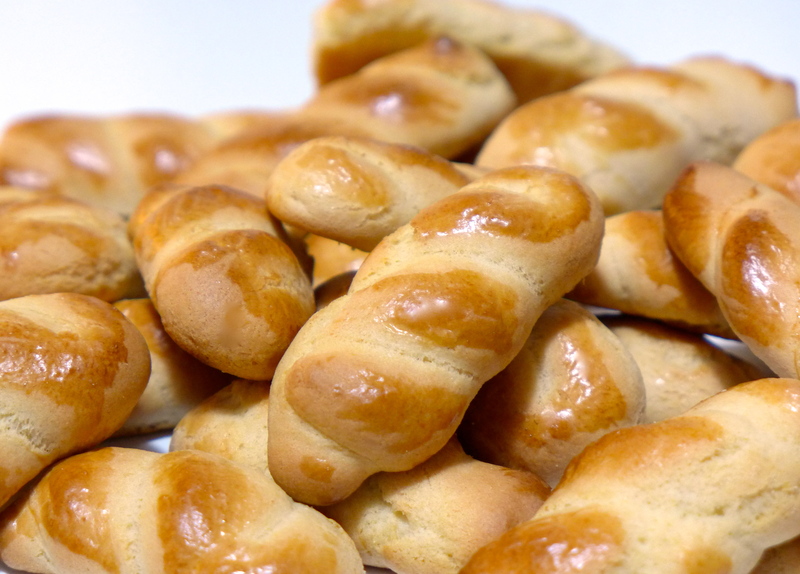 Tomorrow, Easter Sunday, the remaining koulourakia will adorn my table. Thanks for posting Sara. Yummy! I’ll be round for tea then.